The VIU is flight proven and currently being used by Lockheed Martin in support of National Missile Defense testing on the PLV program. Every unit is put through workmanship environmental stress screening to ensure the highest reliability. The VIU design is periodically upgraded to keep up with continuing advancements in electronics. Limiters, gain equalizer, attenuators, sequencers, thermal compensators, linearizers, mixers, PLL’s, modulators, phase shifters, bias tee’s, etc. 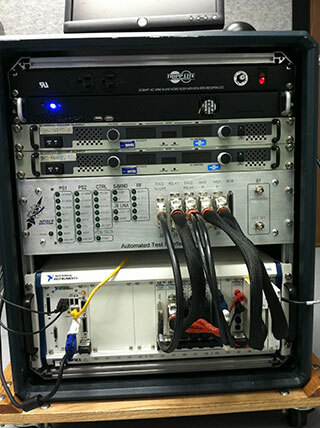 Unique designs include sector-scan antennas for telemetry, phased antenna systems and complete single channel monopulse feeds for parabolic reflector antennas. Click here for a RF Capabilities brochure in a PDF file format. Space Vector Corporation is developing orbital insertion navigation systems for several launch vehicles. Space Vector’s GPS Receivers provide accurate navigation to allow precision satellite deployment. Space Vector Corporation is providing solutions for strategic programs. 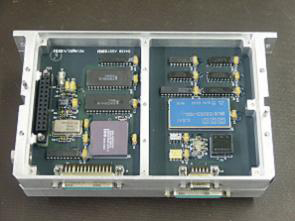 Custom designed Low Noise Amplifiers (LNA) for launch vehicle applications. 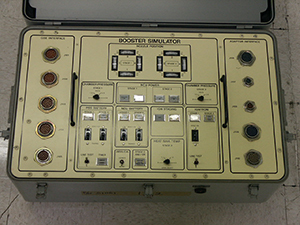 Space Vector Corporation has designed and tested a variety of space capable GPS receivers for ISS and spacecraft applications. Designs support LEO, HEO, MEO and GEO. Space Vector is developing Radiation Hardened Precision Positioning Systems that include SAASM and m-code applications. Click here for a GPS brochure in a PDF file format. Space Vector has been designing and building separation systems since the inception of the Aries vehicle for the deployment of payloads, shrouds, and recovery parachute systems. Computer simulations are used extensively in the performance prediction and evaluation of these systems. 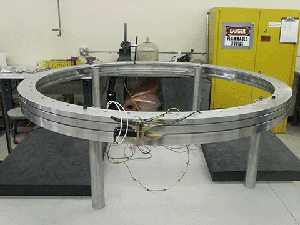 Space Vector produces v-band manacle ring joints in various diameters for separating stages and payloads. These joints differ from traditional marman clamp bands in that the manacle ring provides greater stiffness allowing much higher load caring capability. Joints developed by Space Vector have been tested to over 2 million inch-pound bending. 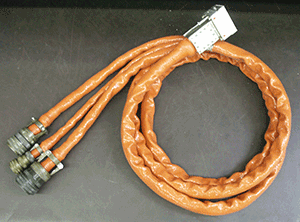 The release mechanism incorporates either a bolt cutter or a non-explosive actuated (NEA) release nut. The NEA reduces shock and eliminates one-shot ordnance devices. The pneumatic piston separation system is used to impart a predetermined delta velocity between two sections. The velocity is easily adjusted by altering the initial supply pressure in the system. Another advantage of the pneumatic system is that the pushers are not pressurized until just prior to separation minimizing the loads on the joints and fasteners during flight. 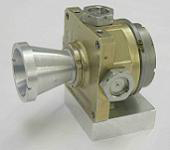 A squib activated isolation valve initiates separation by allowing pressurized gaseous nitrogen to fill a set of pistons. After pressure equilibrium is achieved, a manacle ring or applicable securing device is released and separation occurs. The precision spring pushers were developed to precisly eject nose fairings and sections for a variety of Space Vector payloads and fairings. 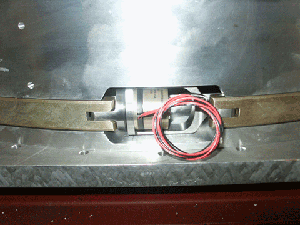 Delta velocity is adjusted by selection of springs and number of actuators. The pneumatic bellows separation system is used to impart a high velocity for the separated payload. Typical separation velocities are in the range of 40 ft/sec. Click here for a seperation systems brochure in a PDF file format. Space Vector currently fabricates a variety of rechargeable (secondary) batteries used in launch vehicle, spacecraft and Unmanned Aerial Vehicle (UAV) applications. 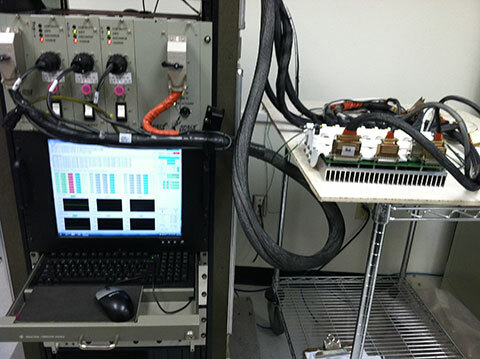 These rugged 28 Vdc batteries power vehicle systems under severe boost and space conditions. 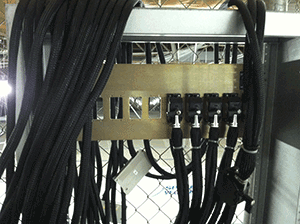 Batteries can be mounted with or without isolators. The 2.2 AH battery is used on several range approved RCC-319 Flight Termination Systems (FTS) and often coupled with our FTS relay box to power the command/destruct receivers, S&A, and destruct ordnance as shown the block diagram below. The 10 AH battery is qualified to power range tracking systems and has cell heaters for operating in cold environments. Our batteries have successfully passed qualification level thermal cycling, vibration, shock, vacuum, humidity, fungus resistance, fine sand, salt fog, explosive atmosphere, and EMI/EMC testing and have flown on a variety of missions and vehicle configurations. Space Vector produces a line of aerospace grade lithium-ion and lithium-polymer batteries. The 2.5 Ah Li-Ion FTS battery is designed as a drop in replacement for our existing 2.2 Ah Ni-Cd battery and incorporates high-current cells capable of delivering over 30 Amps (30 ms pulse) at 28 Vdc under extreme environments. The 20 Ah Lithium-Polymer (Li-Po) system battery is capable of delivery over 200 Amps continuously from a single, lightweight package. Each battery uses SVChargeTM Smart Battery Technology which provides Programmable Protection and Monitoring. The cells within the battery are balanced during charging with optional “Flight Mode” lockout of protection features during flight. Li-Ion and Li-Po batteries can be purchased either with an internal or external Battery Management System (BMS). Battery Chargers are available to discharge the batteries in the field, measure capacity, and display cell voltage, current, and temperature. Click here for a 2.2 AH, 7.0 AH or 10.0 AH battery brochure in a PDF file format. A 2.5 AH or 25 AH lithium ion battery brochure is available in a PDF file format.